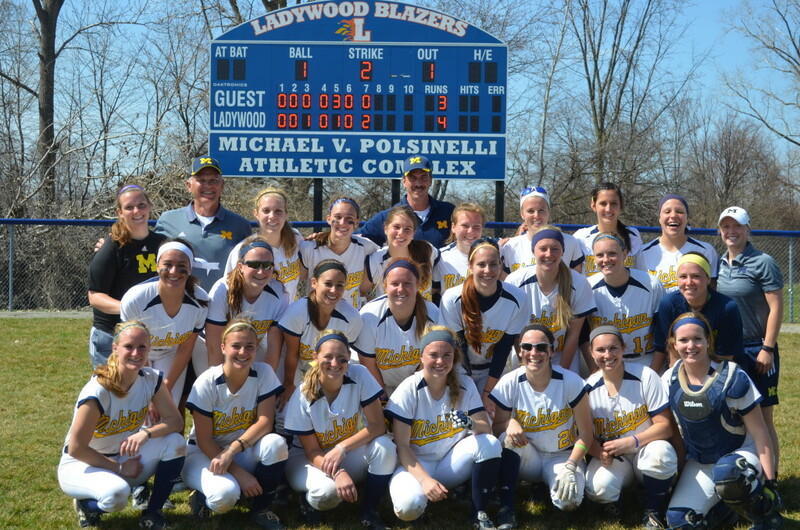 The University of Michigan-Dearborn softball team split three doubleheaders last week. 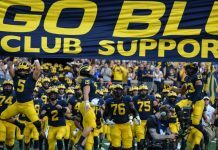 The team sits at .500 overall and boasts a 6-2 record in the Wolverine-Hoosier Athletic Conference. The Wolverines split a non-league twinbill with Cleary University on April 8, taking the first game 9-0 before being shutout 5-0 in the second. Statistics from the game were not available online. 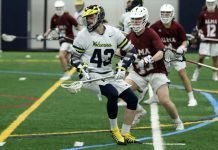 UM-Dearborn returned to league play against No. 16 Davenport Saturday. The Panthers took the first game 8-5 while the Wolverines’ offense ignited for a 10-1 rout in the finale. A four-run first inning paced Davenport in the first game and UM-Dearborn’s late comeback bid fell short. 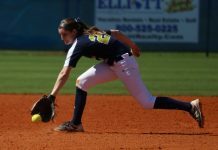 Wolverines’ pitcher Kayla Goodwin tossed 5.1 innings and allowed all eight runs (six earned) on three walks and 10 hits. Alex Elwell pitched two-thirds perfect innings in relief, striking out two. Ellie Kauten went 2-for-4 with a solo home run in the first game. Maria Rodriguez went 3-for-3 with two RBI. Abby Powell’s spectacular performance in the second game lifted UM-Dearborn to a split. She went 3-for-3 with a pair of home runs, three runs and three RBI. Jessie Thueme and Lindsay Taylor also homered. Gina Verduzco tossed five strong innings, allowing only one run on three hits and two walks. 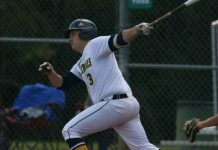 UM-Dearborn hosted Aquinas Sunday and were walk-off winners in the first game, topping the Saints 4-3 on a game-ending passed ball. The Wolverines were downed 6-1 in the second game. Statistics from the game were not immediately available online. Rain and cold temperatures have slowed UM-Dearborn’s return from Florida. Wednesday’s makeup games against Madonna were postponed due to rain. The games were originally scheduled for mid-March. The Wolverines return to action Wednesday against Lourdes.